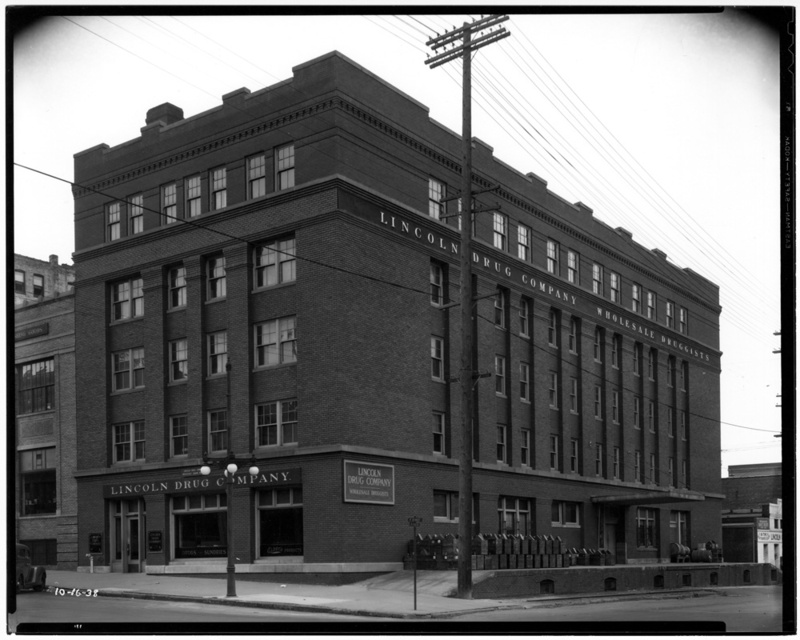 This sturdy warehouse may be the district's most successful design for a building to which a story was added. The fact that the same architect, Ferdinand Fiske, was involved in both phases probably accounts for the gracefulness of the addition. The basement and first four stories were built in 1905 at a cost of $30,000, while the fifth floor added in 1919 cost nearly half as much at $14,000, reflecting post-World War I inflation. Fiske used wide, windowless corners and three-story tall piers, lending a blocky massiveness to the design, while alternating wide and narrow piers between the window bays give some variety to the street facades. 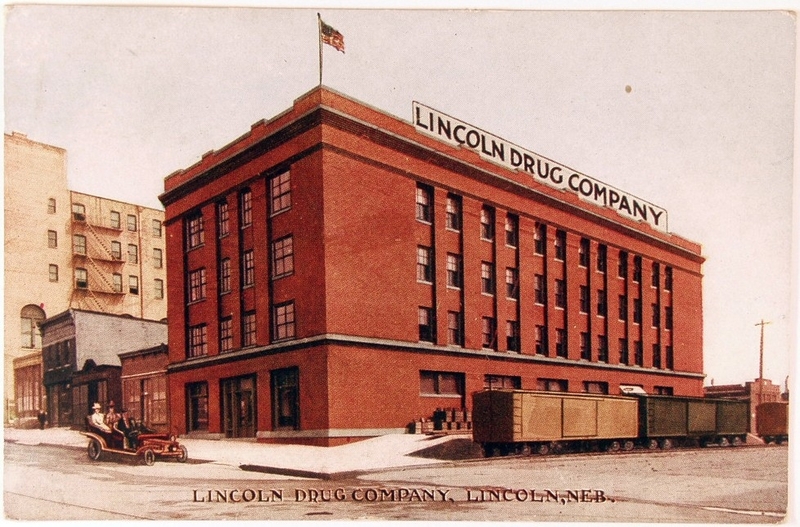 Lincoln Drug Company was incorporated in 1897. 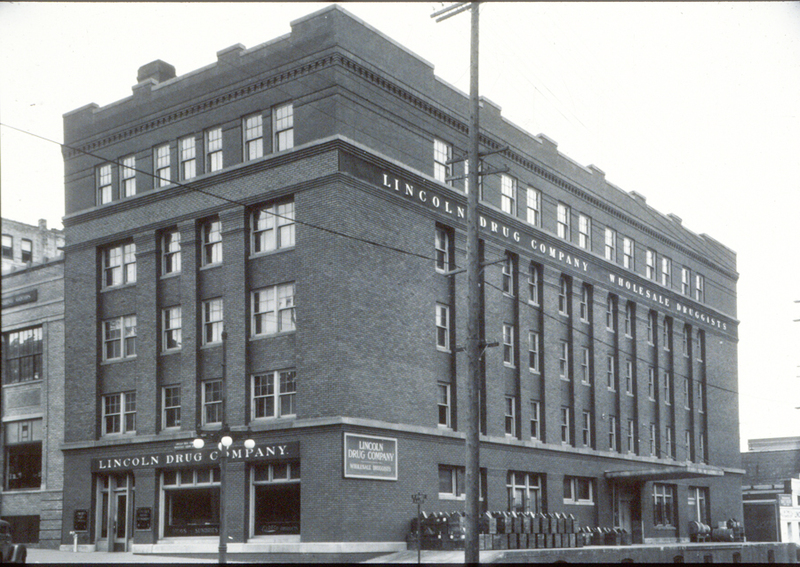 Lincoln Drug operated from the Clarke Block across the intersection before building its own facility. The company sold drugs, chemicals and pharmaceutical supplies from this building until the 1950s.